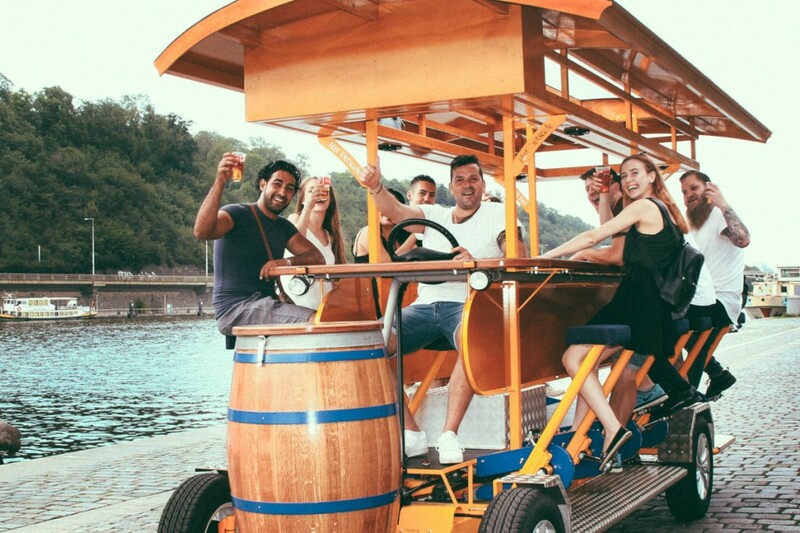 Explore Prague with a unique twist and join us for a beer bike tour of the Old Town. 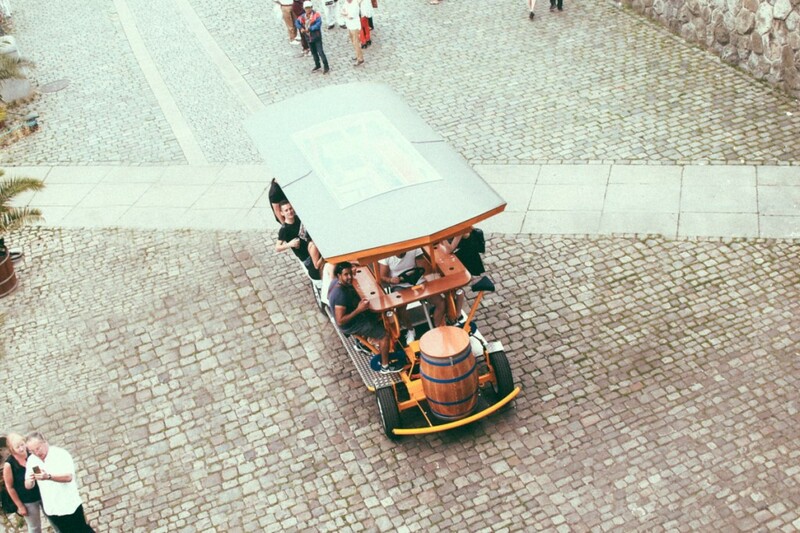 We'll take you on a 2-hour ride through the center of Prague and, of course, drink plenty of ice-cold beer on the way. Our drivers / guides and bartenders know Prague inside-out and can show you all the hotspots and sights and give you on-point advice about where to eat, drink, dance and party and not get ripped off. They'll also take care to keep your cups topped-up at all times. 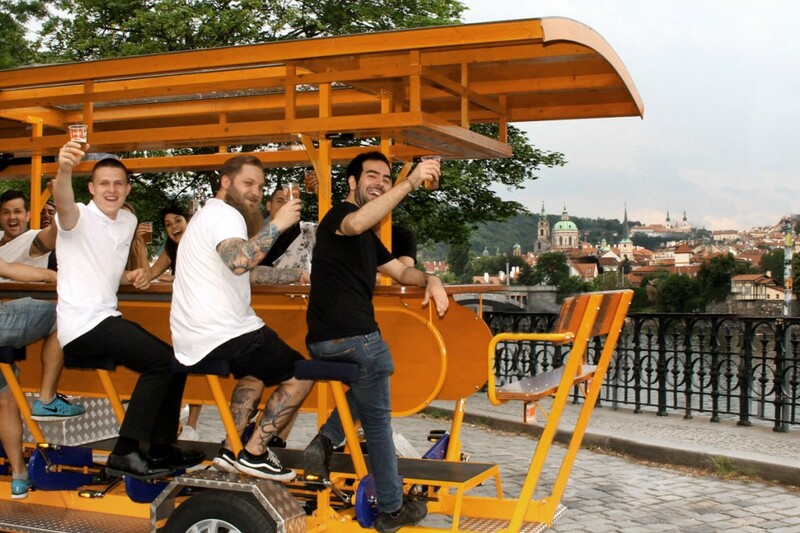 Our Prague Beer Bike bikes are the highest-quality electric pedal bars you will find anywhere. They have a capacity of 16 people per bike and come with a 4-speaker sound system, LED bar lights and a super-silent electric support engine so you don't have to pedal too hard. Bring your own music on USB or we can connect it by Bluetooth and we can get the party started. We include Unlimited amount of premium Czech beer. We are an official partner of Budweiser Budvar (the legendary Czech original not the American water.....), the most famous Czech brewery. We are happy to provide additional drinks and if you don't like beer you can have Prosecco instead or in addition. Other drinks are possible too - just let us know in advance. For more information visit Prague-Beer-Bike.com. We are happy to customize the tour according to your request: We can change the route, offer prosecco or non-alcoholic tours, make the tour longer and much more. · Please note that this activity is suitable for groups of 4 or more people. We can arrange for some friends to join later or arrange 2 groups if necessary.